Vadodara, India — May 25, 2016 — Rishabh Software announced its Cloud focus with the onset of its partnership with Oracle as a Cloud Registered Partner. This furthers their drive to build scalable cloud solutions and achieve faster go-to-market for their customers. As part of the Oracle PartnerNetwork, Rishabh Software’s technical strength and process-focused approach in integrating on-premise and cloud solutions with Oracle will be available to more than 390,000 customers around the world and deliver Oracle’s broad product portfolio. Over the last 15 years, Rishabh Software has leveraged Java & MySQL technologies to develop many enterprise solutions like Anti-money Laundering, Customer Management Portal, Cloud Transaction Platform, Sales Portal, Mobile Payment System, Telecom Order Management System and more. Today, these technologies are part of Oracle’s wide technology portfolio and will help improve Rishabh Software’s expertise in enterprise application development. With Oracle PartnerNetwork (OPN), Oracle is transforming the way its partners develop their businesses. Rishabh Software will bring a new level of enterprise application development, cloud integration and application management services to its clients. Organizations of all sizes work with them to design, deploy, manage and scale successful cloud businesses through Oracle’s cloud products. Oracle formally recognizes partners that have invested time and resources in developing significant expertise in specific Oracle products and solutions. OPN also offers Rishabh Software access to partner-specific training, resources, go-to-market tools, and support. These valuable benefits enable Rishabh Software to earn specialized status and be recognized for their particular expertise helping deliver higher customer satisfaction. 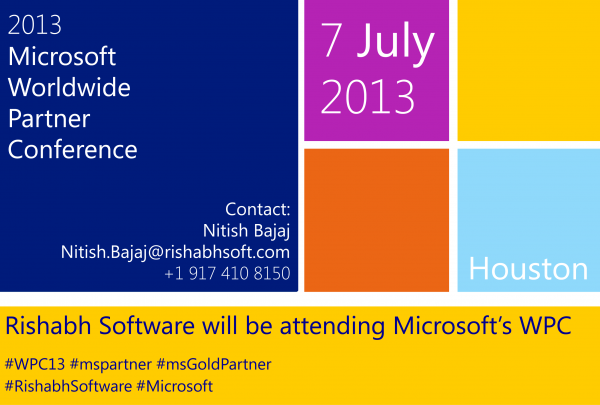 Get a Free ConsultationTalk to our experts for your cloud based application development business needs.